Just as the AMA Amateur National Championship at Loretta Lynn Ranch was designed to bring a more structured, refined process to determining the next set of pro motocross stars, the process of preparing riders for Loretta’s itself has improved in similar ways. Today’s top prospects spend months preparing specifically for this race at training facilities designed to bring out their best come August. It’s still a relatively new concept in this sport—the dedicated training facility has been around for only about 15 years, less than half the time Loretta’s has been around as a race. The impact during that time is unmistakable. Millsaps Training Facility and Georgia Practice Facility are the ground zero for this change. The two facilities have made Cairo, Georgia, as important an address to this sport as Anaheim, California. Of course, the facilities started as a way to make specific riders go faster—the idea of teaching hundreds of others came later. Georgia Practice Facility (GPF) is operated by the Woods family. Josh Woods was a top Team Green prospect from Michigan, and he and some other local fast kids, all snowed in during the winter, found Georgia as the place to be for year-round training. Josh scored two Loretta’s titles and went on to a factory ride as a pro with KTM. He never left Cairo, Georgia, though, and now he’s the head honcho for the GPF facility. You can find his race results here. Millsaps Training Facility, right next to GPF, was only just getting going when Davi Millsaps was graduating into the pro ranks. Davi is one of the fastest riders to ever roll through Loretta’s, with nine AMA National Titles and the 2003 AMA Horizon Award. You can find his impressive results list here. As Davi transitioned to the pros with a Team Suzuki ride, MTF was transitioning into a place for amateurs from around the world to hone their skills. 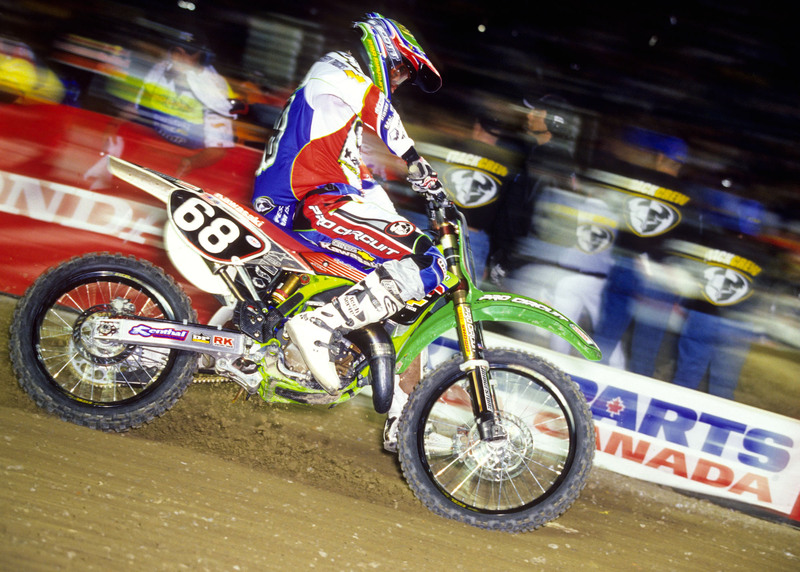 MTF has been churning out champions ever since, and that title list includes Bryan Johnson, who won the 125/A Pro Sport Championship at Loretta’s in 2003. Bryan went on to a Star Racing Yamaha ride as a pro, but when his racing days were over, he took a lead role at MTF. Bryan is a key component to MTF’s success, but everyone knows Davi’s mom, Colleen, as the linchpin of the operation. What many people don’t realize is that Colleen, herself, actually raced Loretta’s once! Here she is from her lone appearance in 1994, which, not coincidentally, is the first year Davi made an appearance at the ranch. So, all your amateurs getting whipped into shape by Colleen right now, don’t argue back. She’s been through this process herself! With the success of GPF and MTF, other full-time training facilities have popped up. Matt Walker now runs his own facility in his native Georgia. Matt has two Loretta’s titles to his name, and went on to a professional career with factory rides on Kawasakis and Yamahas. You can find his results here. 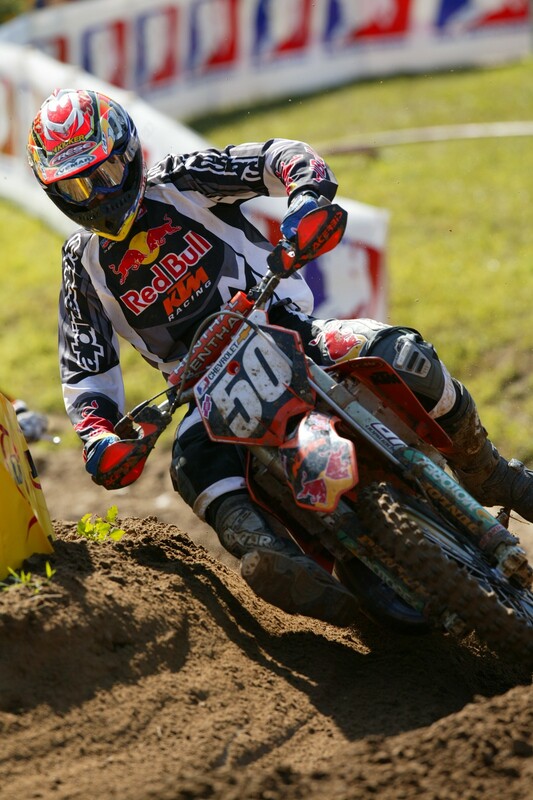 Club MX in South Carolina has also made inroads on the Loretta’s podium. The place started as a partnership between Zach Osborne and Brandon Haas. Zacho has moved on, but Haas still runs the show down there. Haas pops up in the Loretta’s vault as well. As a Minnesota native, he knows the draw of getting down south to train in conditions just like Tennesse in August. In fact, this draw has created an entire industry of facilities, trainers, coaches and more. Anyone who has spent time in the grind at these places will tell you that in order to win as an amateur, you’ve got to train like a professional.